Display users' submitted Joomla articles on their profile. Core Application - If enabled, application will be added to all profiles in the position you select. Position - Select the position you want this module to be published in by default. 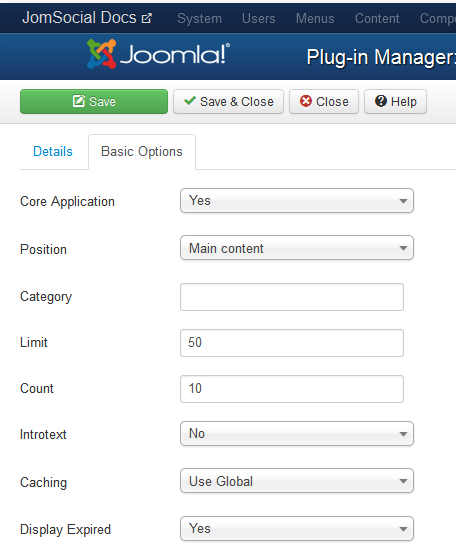 In Joomla 3.0 you have to uncheck all position you dont need. If you wish to reposition the application later, you can start typing the position name and available positions will show up. Please note that already added Core Application, can not be repositioned for users that already have application added into their profiles. If application is set to be Core Application new position will only be applied to new users that register on your site.